The Cedar House Pub at Granlibakken Tahoe offers casual American Pub food in a cozy fireside atmosphere. Live music every Friday and Saturday, a full bar with daily specials, award-winning food, and a kid-friendly atmosphere make The Cedar House Pub the perfect spot for an après-ski drink and bite to eat. 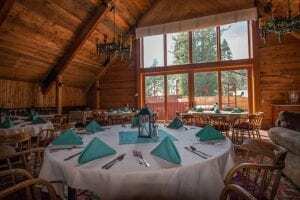 On Fridays throughout the ski season (excluding holiday periods), The Cedar House Pub offers 2-for-1 entrees all night long. The Cedar House Pub is open on Friday and Saturdays from 5-9PM and daily from 5-9PM during holiday periods. Please call 530-583-4242 for information and to make reservations.